Rockin' it Out: Tchuss Deutschland!! "Goodbye Germany"!! Three years ago we arrived in Frankfurt not knowing exactly what to expect. I had a 2-year teaching contract and Marisa was temporarily unemployed. Over the past three years we have made genuine friendships, grown tremendously professionally (and personally), and expanded our appreciation for other cultures through significant travels in Europe (and elsewhere). Marisa has come across a completely new profession that she loves and has expanded her cooking repertoire to include Thai and Indian dishes. I have now been to over 30 countries and I no longer care to watch American Football............ok, that last part was completely false, but you get the point - our lives have been forever changed by this experience. 1. Public Transportation - it was a sad day when my last "Monatskarte" expired, as I really appreciated the ease and extent of the transportation services in Frankfurt. The only thing better than a 45-minute daily commute to work (besides not having one) is not having to drive. Many a songs were listened to on my Ipod and many a chapters were read on my Kindle. 2. 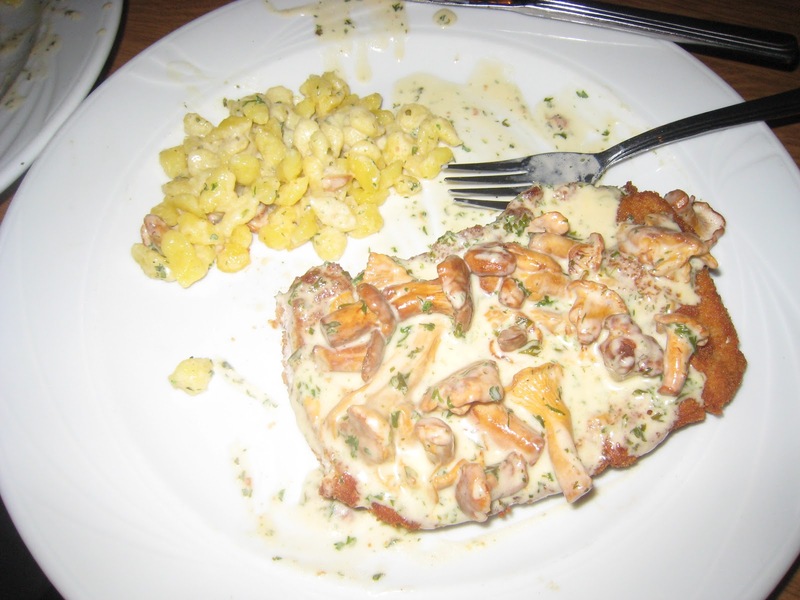 Pfifferlingen Schnitzel - it was difficult letting go of Tanja's embrace on our last visit to zur Sonnenuhr not knowing when I'll be able to taste the perfection of the mushroom-covered schnitzel there. Her jugs and schnitzel will be dearly missed. 3. Universal Healthcare - especially as a newly-diagnosed diabetic, I definitely appreciated a system where there were no "pre-existing conditions" and no shenanigans with private insurance companies deciding what to pay for and what not to pay for. I'm not ignorant of the fact that I was paying 40% taxes to enjoy those benefits, but it certainly took away the anxiety of going to the doctor because you're not sure if you can afford it. I also appreciated doctors that didn't hesitate to order expensive diagnostic exams, just to be proactive and preventative. 4. Beer Delivery and Open-Container Policy - one of my favorite past-times was to give my boy a call at the Bornheim Getraenk Quelle to order a couple of cases of beer to be dropped off, nay, carried up steps and placed on my balcony, all for the low low price of 1 Euro per crate. It was also nice to open up a "roadie" and jump on the subway and/or walk down the street without worrying about being hassled by the police. 5. Public Viewings of Soccer Games - you can't beat being in a European country during either the World Cup or the Euro Cup. We were fortunate to have lived in Germany during both and I've never seen anything like it in America. Huge outdoor screens. Thousands of fans with faces painted, sporting team jerseys. Chanting in unison. Going nuts when goals are scored. There really isn't an equivalent in the States. 1. Bakeries- they might not have been as sweet as American bakeries but man did I love a German bakery. The smell when you walked by was so inviting and it was just asking me to buy something. We would go to a bakery for breakfast, an after school snack or a treat for a special occasion. For how many times we stopped at a bakery you would think we would have gain 20 pounds. Also many of my German friends claim German bread is the best and in all honesty I have to agree. It is always fresh and has no preservatives. 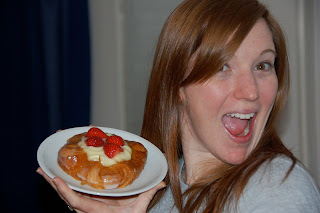 My all-time favorite buy at a bakery was the Erdbeer plunder (pictured below). I know I will be missing German bread when I am in Hong Kong. 2. Long-Distance Train Rides- In my eyes there is no better way to travel than on a train. I could show up 2 minutes before the train was about to leave with as many bags as I wanted and just take my seat and enjoy the ride. To me, packing a cooler full of food, snacks and drinks, loading up with a group of friends and having a nice little party on the train was pure delight. Or if it was just Justin and I after a long day of work and we are taking a night train I loved just taking a snooze or sinking into a good book. 3. Festivals- Rain or shine the Germans were having a festival. From your typical neighborhood festival, Bernemer Kerb for us, to the full out Oktoberfest festival. I loved when I was just wandering around Frankfurt and I would just stumble across a festival. Festivals came in all shapes, colors and themes. Plus who doesn't love an occasion to bust out the lederhosen and dirndl. You bet we brought those to Hong Kong! 4. 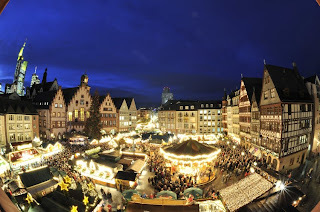 Christmas Markets- I promise you nothing in the world beats getting in the Christmas spirit than a German Christmas market. Full of glorious smells, hundreds of booths selling all kinds of wood crafts, blinding lights, and many glasses of Gluhwein. 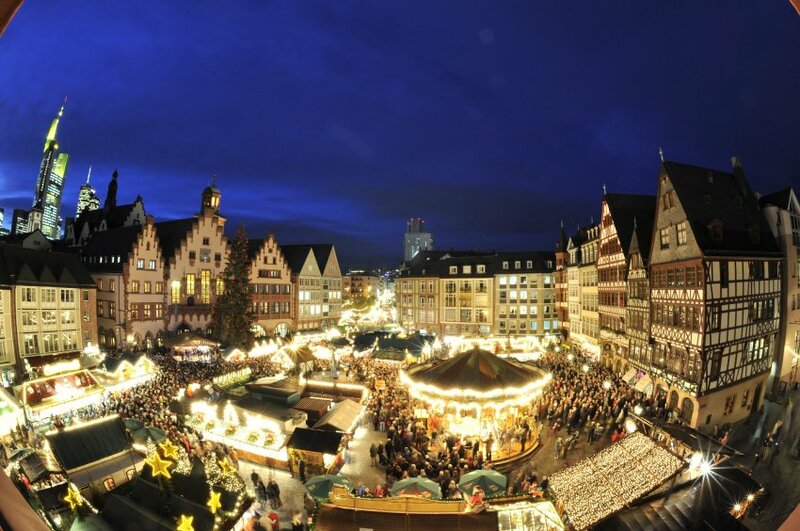 From big cities to small ones you are guaranteed to find a Christmas market from the end of November to December 22nd. Getting a group of colleagues together for a happy hour at the Christmas was always good fun or planning a whole night at the Christmas Market including dinner and drinks. Gingerbread and gluhwein wafted through the air as Christmas music was played or sung all around you. Man I am really going to miss the Christmas Markets. I definitely hope to experience those again in this lifetime. 5. 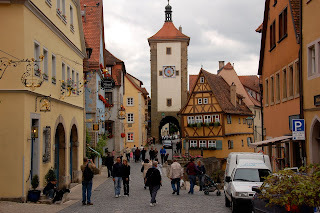 Small-Town Germany- I really felt when I visited a small German town that I was truly seeing the German culture of traditions and heritage. The half timbered homes and the market squares to the medieval fortified walls and the no nonsense kind of feel. Of course it goes without saying that the #1 thing that we'll miss about Germany are the friends we made while in Frankfurt. Just as we'd like to experience all of the above things again, we hope to also see those friends again in the near future.